This is crucial since the coating forms a fairly thick layer. If pieces of this layer get detached and fall down, they can cause serious injury and property damage. Even if you see minor damage such as a small moisture spot or a thin crack, you must address the problem straight away. 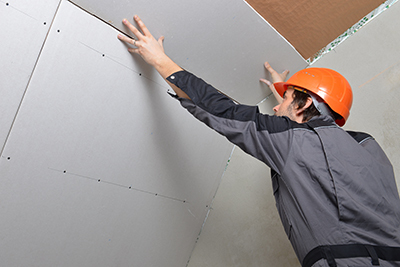 If there are small cracks on your drywall, you may need to remove the surrounding area. One of the easiest solutions is to make use of a ready mixed compound and apply the solution on the crack using a putty knife. You may need to make use of a fiberglass mesh tape over the area for the purpose of strengthening the area.